"All in all, I would recommend all of you to read this. 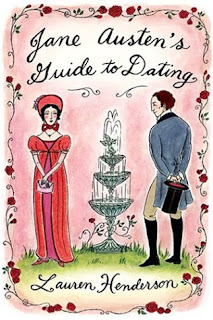 It don't has [sic] to be the guides that we are looking for, but the advice behind all Jane Austen's masterpiece....I enjoyed reading it tremendously." Click the pic to read Darlyn's full review! I don't have this one yet! I am adding this to my must-have list! I have this book--it is FAB! Thank you Misty for highlighting this. I really love the book! That cover is too cute! *Stopping to think if my sister will see this* My aunt got something similar and made sure she loaned it to my sister, hoping that she would learn something about how men should be and compare that to the way her boyfriend is. It didn't work. But I read the book and it was cute. I think I'll post that review on Friday! Now I'm going to read Darlyn's review.